From recent developments in the rapidly growing area of neuroscience it has become increasingly clear that a simplistic description of brain function as a broad collection of simple input-output relations is quite inadequate. Introspection already tells us that our motor behavior is guided by a complex interplay between many inputs from the outside world and from our internal "milieu," internal models of ourselves and the outside world, memory content, directed attention, volition, and so forth. Also, our motor activity normally involves more than a circumscribed group of muscles, even if we intend to move only one effector organ. For example, a reaching movement or a reorientation of a sensory organ almost invariably requires a pattern of preparatory or assisting activities in other parts of the body, like the ones that maintain the body's equilibrium. 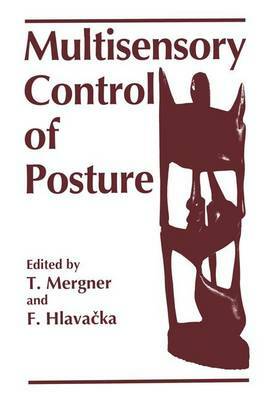 The present volume is a summary of the papers presented at the symposium "Sensory Interaction in Posture and Movement Control" that was held at Smolenice Castle near Bratislava, Slovakia, as a Satellite Symposium to the ENA Meeting 1994 in Vienna. The focus of this meeting was not only restricted to the "classical" sensory interactions such as between vestibular and visual signals, or between otolith and semicircular canal inputs. Rather, the symposium tried to consider also the interplay between perception and action, between reflexive and volitional motor acts as well as between sensory driven or self-initi- ated motor acts and reafferent inputs.